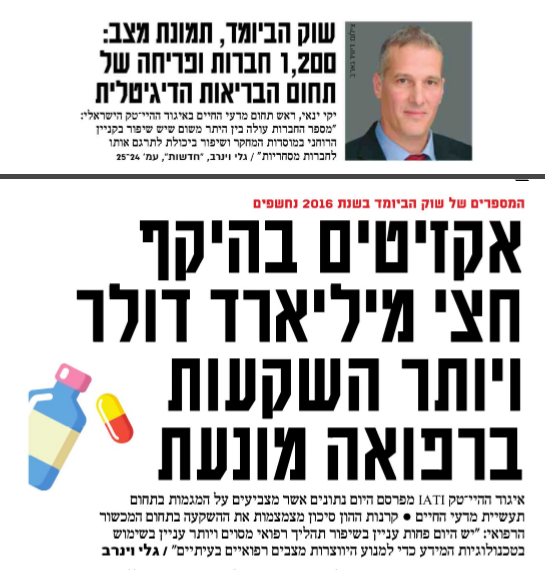 The full IATI Israeli Life Science Report is available here (English). To find out more about IATI click here. 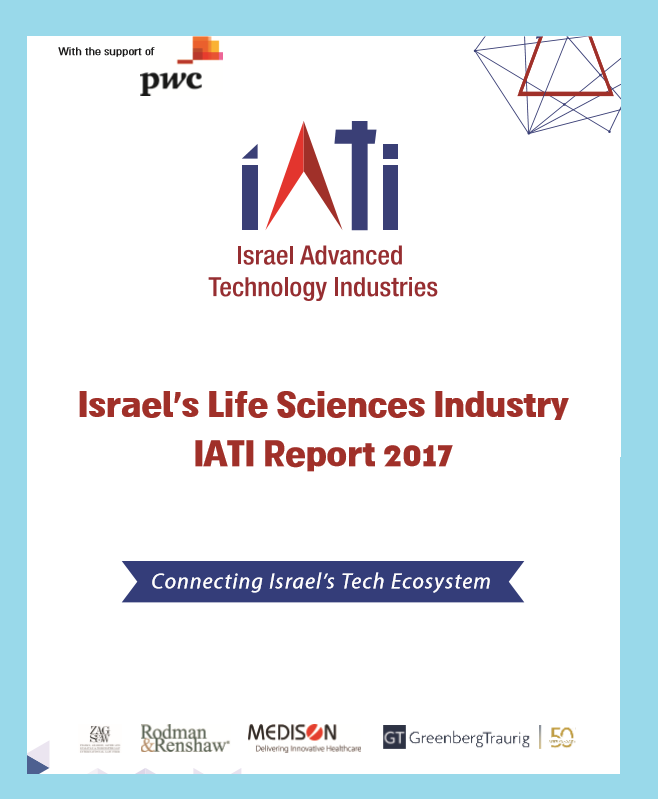 The IATI 2017 Report: Israel’s Life Sciences Industry offers a sweeping panorama of the country’s flourishing life sciences industry, which is growing in prominence in the global healthcare market. The report provides a snapshot of various aspects of the industry, from current trends and influences to systematic elements including continued government support and academic excellence. 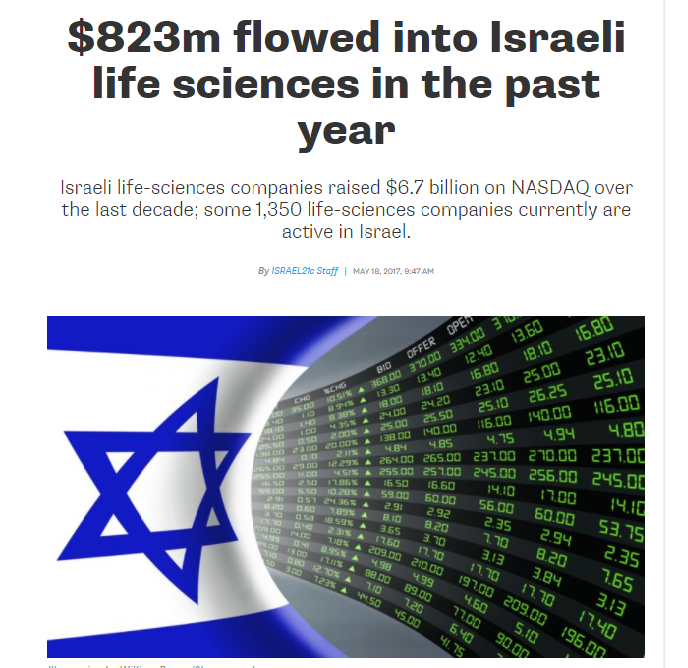 The Israeli Life Sciences Industry has accelerated rapidly, with a growing pipeline in a variety of industry segments. This growth is aided by consistent government support and a strong academic base, which is a leading source for companies and technologies within the ecosystem. We at IATI, Israel’s Umbrella Organization of the High-Tech & Life Science industries, believe that the combination of the country’s experienced and highly-educated professionals, an outstanding academic community, innovative spirit and technological prowess will only propel Israel’s life sciences industry even further in the coming years. We expect more cooperation between multinational and local players to bring revolutionary treatments and solutions to people around the world. This unique report provides an in-depth view of the local industry, highlighting the sustained growth and progress that was made and help give readers an idea of where the industry is headed. We hope that you will find it informative and helpful, and encourage you to share it with others. We would warmly like to thank Claudio Yarza, Partner, Pharmaceuticals & Life Sciences Leader and Omer Gavish, Senior Manager from PwC Israel, for all the support in the preparation of this report. in addition, we would like to thank Gil Gurfinkel, leader of Medison Biomed, for his contribution on putting together the Incubators chapter; Greenberg Traurig law firm; Rodman & Renshaw; and ZAG-S&W law firm.